At McKenzie Family Dentistry we, truly practice "family dentistry." We accommodate patients of all ages, beginning with the tiniest mouths. We treat your child with the patience and kindness in which we treat our own children. 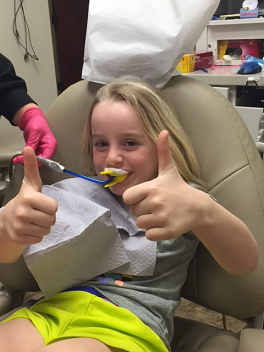 McKenzie Family Dentistry provides a calming and fun atmosphere so that your child actually enjoys coming to the dentist. TV's are mounted in each treatment room as well, with kid-friendly programming choices available. With several dental hygienists available daily, we can accommodate multiple family members at the same time.